Just because we don’t see indoor air pollution, we believe it doesn’t exist. However according to World Health Organisation and the Environmental Protection Agency, the air we breathe indoors is up to ten times more dangerous than that outdoors. Toxic and impure indoor air is one of the main causes behind allergies, colds, sneezing, headaches and heart problems. This alone should be an indicator of how important it is to breathe safe and healthy air indoors. Air purifiers are one of most efficient ways to ensure we’re breathing pure air. The multi-filtration system of air purifiers from Eureka Forbes ensures large particles such as dust, pollen and animal hair, as well as respirable particles such as bacteria and viruses are eliminated. Certified by the German GUI Lab, these purifiers use robust design and advanced technology to make sure you’re breathing pure and healthy air always. However, each purifier is customised to suit a certain circumstance. Most air purifiers vary in size and capacity and can be used in your home or office. For larger office spaces and commercial establishments, Dr. Aeroguard SCPR 1100 fits the bill perfectly. 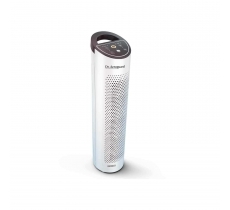 Not only does it have an 8 stage air flow control to adjust to multiple levels of purification based on indoor air quality but it also releases a blend of silver ions, diatoms and vitamins to nourish the air you breathe. The Dr. Aeroguard SCPR 700 is perfect for larger rooms like living rooms or other areas in your home. Equipped with an air quality sensor and the Unique Intelligent Mode, the SCPR 700 automatically selects the best setting for the room, so that you can breathe worry free. The Dr. Aeroguard SCPR 200 can be conveniently placed on your bedside. With a host of filters like an active HEPA filter, deodorisation filter, anti-allergen filter and therapeutic filter, you can breathe easy while you sleep. The therapeutic filter fills the air with Vitamin C, which helps you rejuvenate when you sleep so that you wake up fresh and energised. The Dr. Aeroguard SCPR 100 is ideal for smaller spaces in your office and home like your bed side table and your desk. 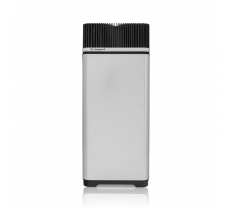 Equipped with an active HEPA filter, this compact purifier ensures you’re breathing safe and healthy air at all times, which will help you focus better. The anti microbial filter purifies the air and the resultant allergen free air prevents fatigue and headaches. Choosing the right air purifier for your home or office space involves a variety of criteria. If you’re still not sure about which air purifier is perfect for your home, do get a home demo from our experts to provide you with the right guidance.